Many of us blame our gadgets, smart devices, and apps for robbing us of our sleep and yet we can’t resist them. However, contradicting to all our beliefs, these four apps mentioned below are sure to give you a peaceful sleep in the night. Have them on your smartphone and leverage them for a good night sleep. Don’t want someone to wake you up in the morning when you are in a deep sleep? But how others will know what stage of sleep are you in? Worry not for Sleep Cycle Alarm Clock is here for help. 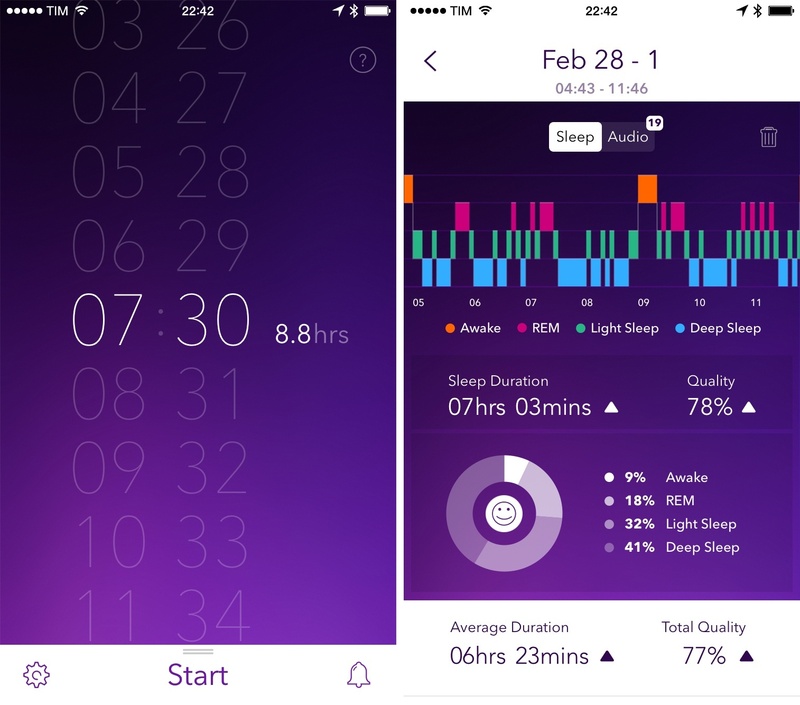 The app determines the stage of sleep you are in. Just keep your phone alongside the bed or on the bedside table, and this app will detect whether you are in light sleep, deep sleep or REM sleep based on sounds. Thus, the moment you come in the light sleep mode in the morning, the app wakes you up with its alarm feature. And guess what! You need not have to keep your phone underneath your pillow for the app to work. This is quite a unique app that uses the sensors on your phone to function. It leverages your phone’s sensors to track your movement the entire night and determine the quality of sleep every hour. There are many things that impact a person’s sleep, for instance, physical activity, caffeine and alcohol intake, etc. you can feed all these daytime variables in the app. In the note section of the app, you can jot down your stress level and dreams. The same may help you in keeping nightmares at bay. If you wish to figure out what’s making you insomniac, the app is for you. If you are one of those who snore or talk in their sleep, then you might want to listen your gibberish once you wake up. Use Pillow, an amazing app to do the same. There’s an inbuilt recorder in the app which allows you to record all the sound that you make while you are asleep. Apart from merely recording and listening to the recording, you can use the app to listen to white noise. There is also an alarm feature in the Pillow app which wakes you up on the pre-decided time with sweet, relaxing, and soothing melodies. Napping is a technique, as well as an art. Mastering the same is a task easier said than done. Thus, if you are bad at taking naps, Power Nap is the app that you need to introduce to your phone. The app comes with a built-in nap timer. The uniqueness of this timer is that it goes only up to 30 minutes long. In fact, the experts say that if you nap more than 30 minutes, you may have troubles in waking up. Further, the Power Nap app comes with calming sounds that help you nap faster.